Napa Valley is one of my favorite places in the world. The reason is quite obvious-- warm and sunny weather almost year-round, and the best restaurants surrounded by beautiful vineyards. 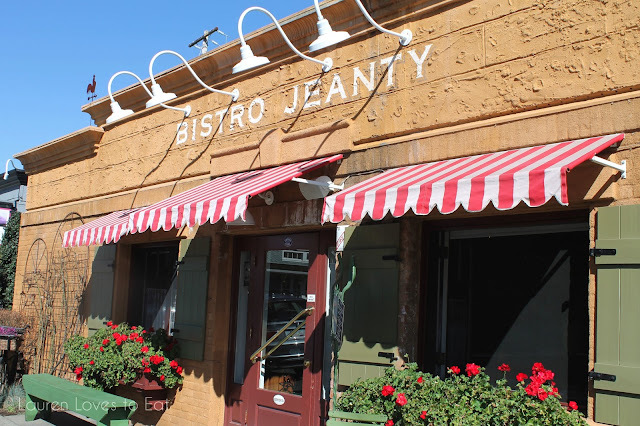 Bistro Jeanty has been awarded a Michelin Star for the past 3 years, and serves French cuisine. 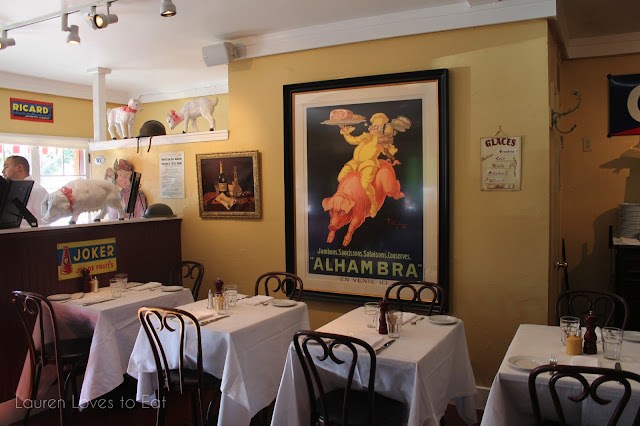 The interior of the front dining room, which is separated from the back by a bar and narrow hallway. There is also a covered outdoor dining area where one guest had his dog accompany him through his meal. Salade de Betteraves, $12.50: Heirloom beets and mache salad with feta cheese and citrus dressing. 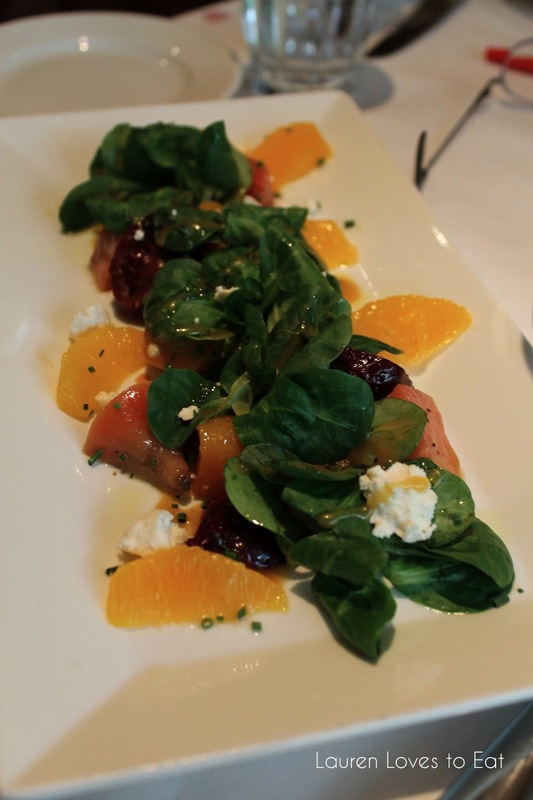 A nicely presented salad with colorful beets complemented by a tangy dressing. 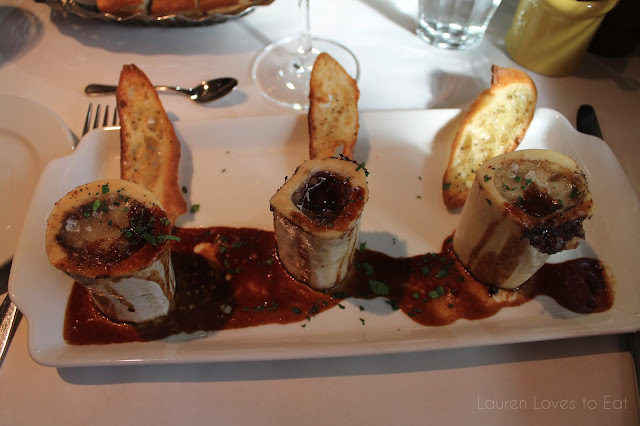 Os a Moelle, $14.50: Roasted bone marrow "Bordelaise". This bone marrow was absolutely unbelievable. It is what I daydream about. Each piece of bone was filled with a huge portion of fatty marrow. Definitely the best bone marrow I've ever had, and for a very, very fair price. 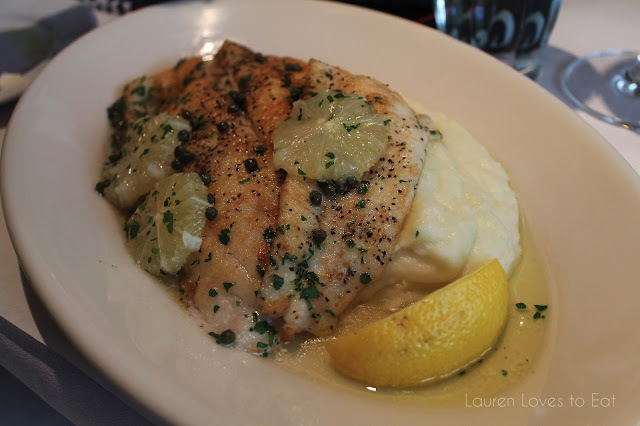 Sole Meunière, $23.50: Sole fillet with mashed potatoes and lemon caper butter sauce. This is what comes to mind when I think of French cuisine-- warm, rich, buttery, and satisfying. The fish was doused in a perfectly balanced combination of savory and citrus flavors. 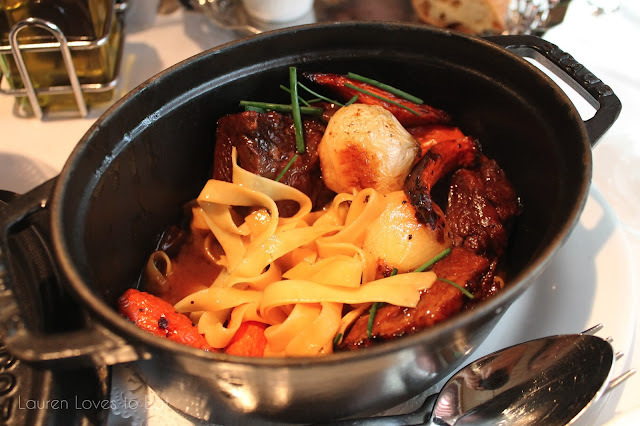 Bœuf Bourguignon, $28.50: Short rib, roasted carrots, pearl onions & buttered egg noodles. And here is what made this meal the very best meal of of this year. Fine, we're only 3 months into 2013, but if it's any indicator, I hope this means 2013 will be a year of many restaurant visits that keep topping each other in my list of favorites. Back to the dish. 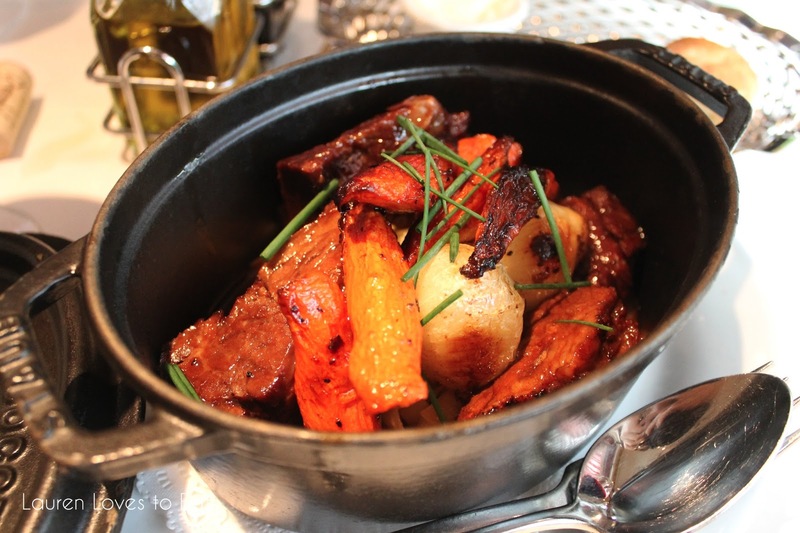 A beautiful symphony of deliciously tender short rib, with sauce that was rich but not overwhelming, and accompanied by carrots with the most lovely sweetness. The noodles were al dente and heavenly. If you have any favorite restaurants in the area, please share! Ooooh.. looks so nice. I love Napa, but I didn't dine there, just had wine and cheese and got drunk, that was 10 years ago. Unfortunately don't know any restaurants in the area. :-( Sorry!!! Haha glad you at least got to enjoy the wine and cheese! You Must go back for food though! This restaurant looks extraordinary! I've been to Napa a few times, will need to check this place out on my next visit.